“The hypothesis of a death instinct, the task of which is to lead organic life back into the inanimate state” (2). Here, what is assumed to be a fertile environment has somehow become petrified; paper cut-outs imply the organic, and yet these are things that cannot grow. 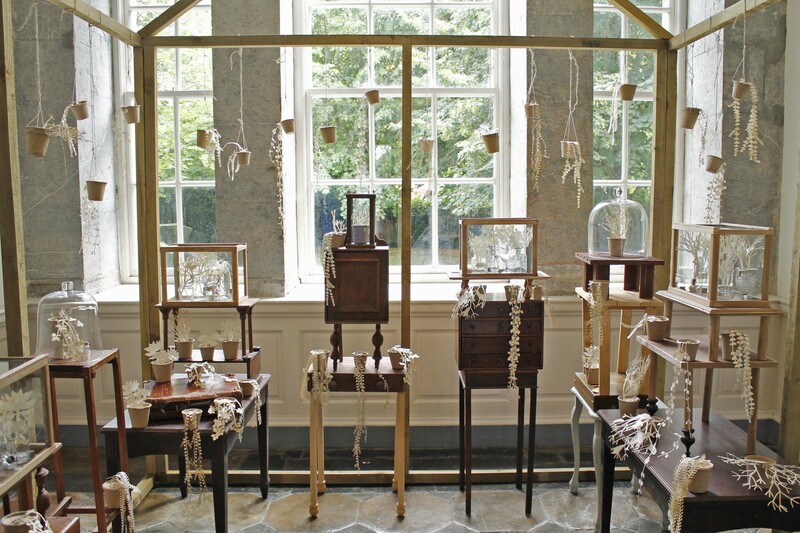 The use of bell jars and vitrines all creating a soundless space of self-exploration. Vanessa Donoso López’ work deals with a confluence of cultural and philosophical influences and the work could suggest a type of memorial, the items on-show allowing the visitor into a shared intimacy. In many cases this type of subjectivity fails within the gallery space, yet here in the atmosphere at King House it works perfectly. 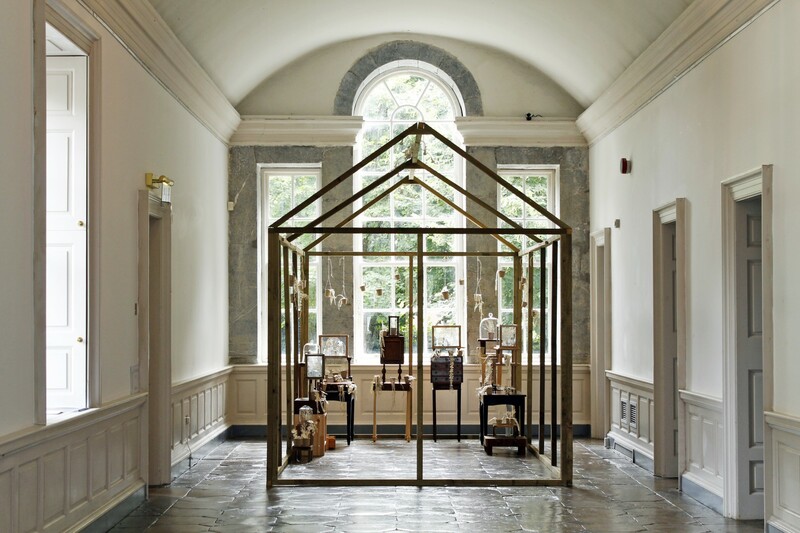 ‘Painful Excess of Pleasure’ by Vanessa Donoso López is curated by Linda Shevlin and can be seen at King House, Boyle, Co. Roscommon until September 13th. Sigmund Freud, “The Ego and the Id”, in On Metapsychology (Middlesex, 1987), p. 380. Posted in exhibition, images, listings, News, openingsTagged Boyle, image of the week, King House, Vanessa Donoso LopezBookmark the permalink.